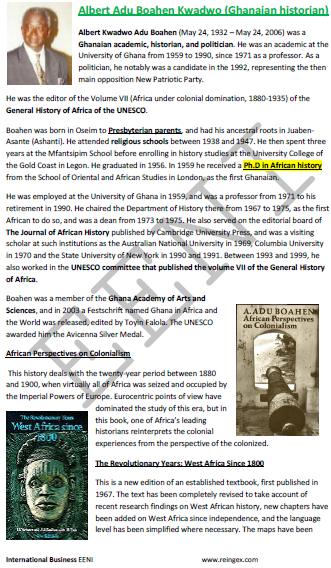 Syllabus of the Online Course (Subject): Albert Adu Boahen Kwadwo (Historian, Ghana). Learning materials in or Albert Adu Boahen Kwadwo Albert Boahen Albert Boahen. 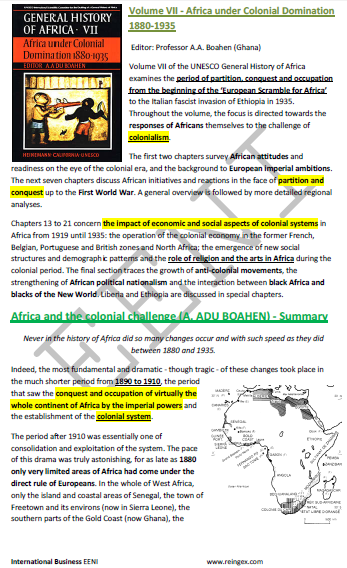 Description of the Online Course: Albert Adu Boahen Kwadwo (Ghanaian Historian). The Ghanaian Historian, professor, and politician, Albert Adu Boahen Kwadwo (1932-2006) specialises in contemporary African history and Ghanaian History. Britain, the Sahara and the Western Sudan 1788-1861. Albert Adu Boahen was an African Historian of West African Economic Area (African Civilisation).